Soccer Training Camps | Gaithersburg, MD : F.S. Soccer Inc.
Our signature soccer program designed for ages 3 - 8. In Rush Strikers, your little ones will learn the basics of the sport and develop important teamwork skills from our highly trained and motivational staff. Does your neighborhood or school need a local soccer program for children ages 2 - 6 ? Let F.S. Soccer enrich your community by organizing and providing professional coaching and referee staff in this custom-tailored program. We provide soccer training programs for all ages. With extensive professional experience both playing and teaching, our coaching staff apply their own personal experiences for team or one-on-one practice sessions. If you’ve been looking for a community soccer program or training camp that motivates, inspires and educates children and young adults of all ages, F.S. 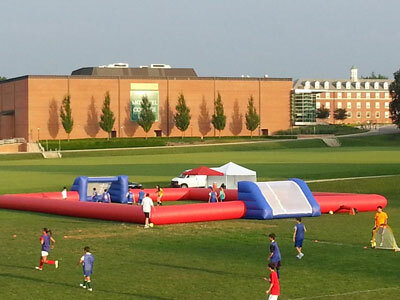 Soccer, Inc, delivers exceptional results to the greater Washington D.C. area and surrounding MD communities. From weekend summer programs to one-on-one training sessions, F.S. Soccer, Inc. offers a dynamic coaching staff committed to teaching the fundamentals of the sport, honing your child’s athletic ability, and helping them make new friends. We’re also supported by qualified nutritionists and personal trainers to provide our students with the best possible training experience. Connect with F.S. Soccer for updated program information and athletic events in the greater Washington D.C. Metro area! © 2019 F.S. Soccer Inc.